V. Bindi & B. Kramer WHY KATZ? 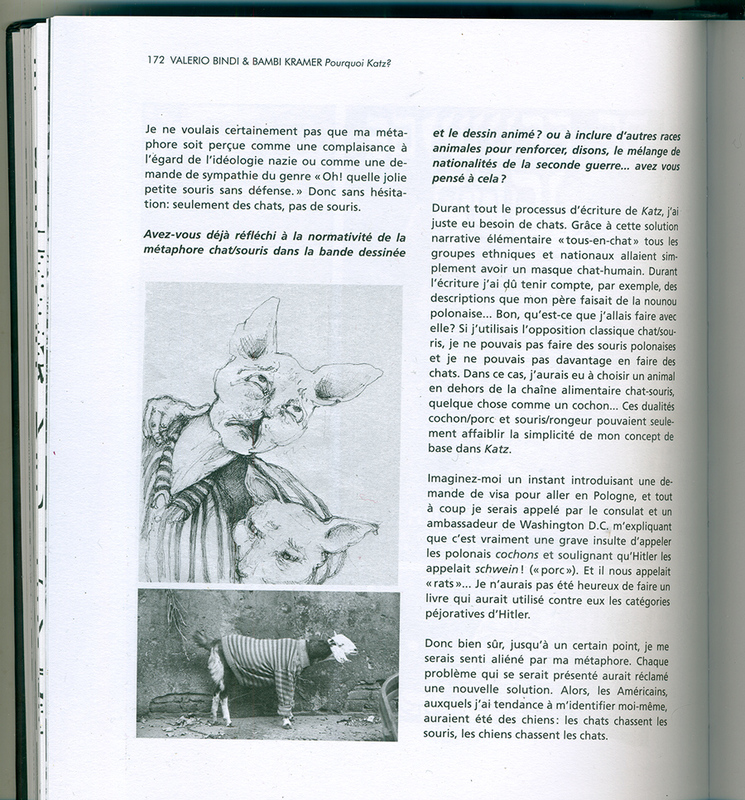 Interview with Katz’ author, in X. Löwenthal, I. Manouach, Collective METAKATZ. Katz, a detournement of Maus, has opened to a new interpretation of Art Spiegelman‘s work, basically by changing every animal-faced character into a cat-faced one. Then, as Spiegelman published MetaMaus, METAKATZ was realised as a collective essai about copyright and his exceptions, like detournement, collage and sampling.